to safe water, and improved hygiene and sanitation in developing communities in need—especially in Africa. Today, Tree World is focused exclusively on providing plant protection solutions to customers experiencing animal damage to their: gardens, crops, nurseries, woodlots, tree plantations, and riparian areas. 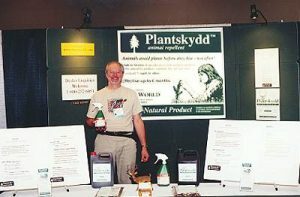 Tree World actively supports Gardening Club and Master Gardener speakers and sponsored events in the United States and Canada—providing FREE Plantskydd samples for use in raffles and door prizes. We are proud in providing our customers with superior customer service. If our products do not meet your expectations, we want you to share your experience with us. Each member of our staff is empowered to make things right for you. If for any reason you are not 100% satisfied with your purchase, we would pleased to replace the Plantskydd formulation you purchased, or to send you a different formulation: Liquid, Powder Concentrate or Granular. If for any reason you are still not 100% satisfied with your purchase of any Plantskydd product, we will refund you the full Manufacturer’s Suggested Retail Price (MSRP) as posted on our website or, the price shown on your purchase receipt—whichever is the lesser amount. I wanted to take few minutes to thank you. I received the replacement bottle and the 1 quart sprayer. I’ve been using the sprayer and it works great….problem solved! Thank you for your quick replies and for the excellent customer service —you went above and beyond. Thank you for your prompt action on our problem. The replacement bottle of repellent used for “rats on stilts” [my wife’s description of deer] is a complete success! The varmints so far have not shown any inclination to sample it! In closing it says volumes for a company that stands by it’s products as you do. What a great company and you are a wonderful representative. My new bottle arrived along with a totally different spout- of course. I look forward to using it and will go to your site to see what other products I can enjoy. I really appreciate your help and efficiency. Claude P. Boisvert, a former tree planter, reforestation contractor and commercial fisherman, incorporated Earth-Net Communications (1985), which launched Silviculture—Journal of The New Forest, North America’s first 4 colour magazine devoted exclusively to reforestation. 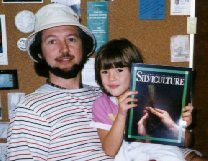 Claude in 1985 with daughter Alaya holding a copy of: Silviculture – Journal of the New Forest. In 1991, he was instrumental in organizing The First National Silviculture Conference, held in Vancouver, Canada — and host to over 460 delegates and speakers from around the world. 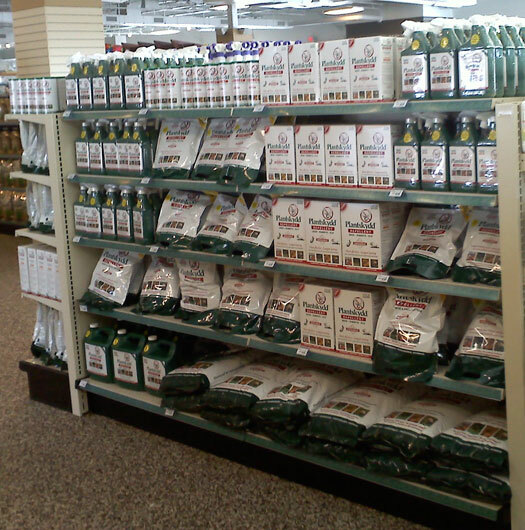 Claude’s current job, as president of Tree World Plant Care Products, is to provide his staff with the resources they require to serve Tree World’s customers with the information and products they need to protect their silviculture, food crop, and garden-landscape investments—in an environmentally, planet friendly way. Australia, Canada, Chile, Japan, New Zealand and the United States.